DESPERATE – These are the teams you could probably throw on some pads and score against. The dregs of the league reside in this tier. These teams should be started in only the most extreme circumstances (you lost a bet, you hate yourself, you are playing in a bizarre league that rewards awful defensive play) but for the most part will be available on the wire all year long, and for good reason. Below are our ranks for week 1 of the 2017 NFL season – Get excited! 1. Houston Texans (vs. Jacksonville Jaguars) – The herculean J.J. Watt should be all systems go for week 1, and as long as he is on the field Houston has a chance to be the top scoring defense every week. Chad Henne pushed Blake Bortles for the Jags starting QB job but HC Doug Marrone finally ceded the position to Blake the Mistake – a choice that should have Watt, Jadeveon Clowney, and Whitney Mercilus licking their chops. I’d be surprised if the Texans didn’t score a defensive TD. Injuries to Watch – LB Brian Cushing is perpetually on the verge of tearing something but Houston looks mostly healthy coming into week 1 with Watt rebounding from his season-derailing back injury from 2016. 2. Carolina Panthers (@ San Francisco 49ers) – New HC Kyle Shanahan should theoretically do wonders for the 49ers offensive capabilities (they scored the 6th fewest points in the NFL last year) but I want to see it first. I think they get crushed and the Panthers get off on the right foot in proving their 2016 was an aberration. Injuries to Watch – Luke Kuechly is vital to this defense and Carolina was flat at times last year without him as he struggled with concussion symptoms. He is apparently fully recovered but this unit should always be downgraded if he’s not out there. 3. Denver Broncos (vs. LA Chargers) – The Chargers offense has the looks of something that could potentially be special – good thing Denver has the defensive firepower to match. This likely won’t be Denver’s best defensive performance of the year but they still should be able to turn in a solid game. They’ll have the added bonus of being at home for this one. They held the Bolts to 19 points in Denver in their week 8 contest last year. Injuries to Watch- Top pass rusher DE Derek Wolfe is still struggling with an ankle sprain but should be good to go week 1. His effectiveness may take a hit but it’s a good sign that he’ll be out there. Also, check back frequently to make sure stud CB Aqib Talib hasn’t accidentally shot himself again. 4. New York Giants (@ Dallas Cowboys) – The G-Men took down the Cowboys twice last year, allowing them 26 total points in two contests. I like their odds to shut down America’s team again. Ezekiel Elliot’s suspension is still an enigma wrapped in a riddle – at this point seeing him play week 1 wouldn’t be shocking. You’d have to downgrade Big Blue slightly if Zeke is out there, but in either case they make a strong play out of the gates. Injuries to Watch – Jason Pierre-Paul adapted well to playing with a Halloween hand last year. CB Eli Apple was removed from the third pre-season game with an ankle injury. His status hasn’t been updated as of this writing. His loss wouldn’t be crushing but it’s not insignificant, either. I think NYG has enough in the secondary to cover for him if he misses this game but seeing him out there would obviously be a nice bonus. 5. New England Patriots (vs. Kansas City Chiefs) – I expect the Pats to erase TE Travis Kelce and to force KC to beat them by either forcing Alex Smith to throw to WR Tyreek Hill, or making newly anointed lead back Kareem Hunt beat them. The first scenario is what KC will likely need to rely on as NE will be putting up points and HC Andy Reid will need to dial up the throws to try to keep pace. Smith is a nice QB but that’s not really his strength. I see NE winning this one handily and capitalizing on a few KC miscues as well. Injuries to Watch- New England’s key defenders are all healthy heading into week 1. And, if they weren’t, would Belichick even tell us? 6. Pittsburgh Steelers (@ Cleveland Browns) – The Steelers aren’t anything special on defense but I love them going against the Browns week 1. Cleveland’s lack of intimidating aerial weapons will allow HC Mike Tomlin to stack the box against RB Isaiah Crowell and force rookie QB DeShone Kizer to try to win the game single-handedly. I don’t see that happening. Expect a pick-six or two and tons of sacks from Bud Dupree and Ryan Shazier. Injuries to Watch- NT Javon Hargrave was concussed in the second preseason game but appears on track to play. Give a slight downgrade if he sits. 7. Minnesota Vikings (vs. New Orleans Saints) – The Saints are scary but way more manageable given that they’re on the road and will be playing without WR Willie Snead (suspension.) Minnesota was legitimately elite at times last year and has a chance to build on that. WR Michael Thomas can’t be stopped completely but CB Xavier Rhodes has the size to hold his own. AP has a chip on his shoulder and supposedly wants to “stick it” to his former team but it remains to be seen if he still has the skills to do so. Injuries to Watch – The Vikes are currently at full strength on the defensive side of the ball. 8. Seattle Seahawks (@ Green Bay Packers) – Talk about the unstoppable force and the immovable object. This should be a doozy, with the league’s most prolific offense tangling with what has turned out to be a dynastic defense. Given the state of the game, you can’t expect an offense like Green Bay’s to be stopped but Seattle is so loaded on the defensive side of the ball that they will have a chance to make this a game. Their recent acquisition of DL Sheldon Richardson deepens an already absurdly talented pass rush group. Seattle will often be in the dominant tier but I had to downgrade them this week heading into Lambeau. Injuries to Watch – DE Frank Clark injured his wrist in a recent practice and his status is up in the air. He is important as he is coming off double digit sacks, and also is an authority on female journalistic practices. His status is looking murky for week 1 and if he’s out Seattle’s output should be projected downwards slightly. 9. Arizona Cardinals ( @ Detroit Lions) – The Cardinals had the 4th best passing defense and ninth best rushing defense last year and return most of their pieces. Losing Calais Campbell will hurt but they have a nice matchup against the good-not-great Detroit Lions offense in week 1. Injuries to Watch – The Cards look to be mostly healthy headed into the season. 10. 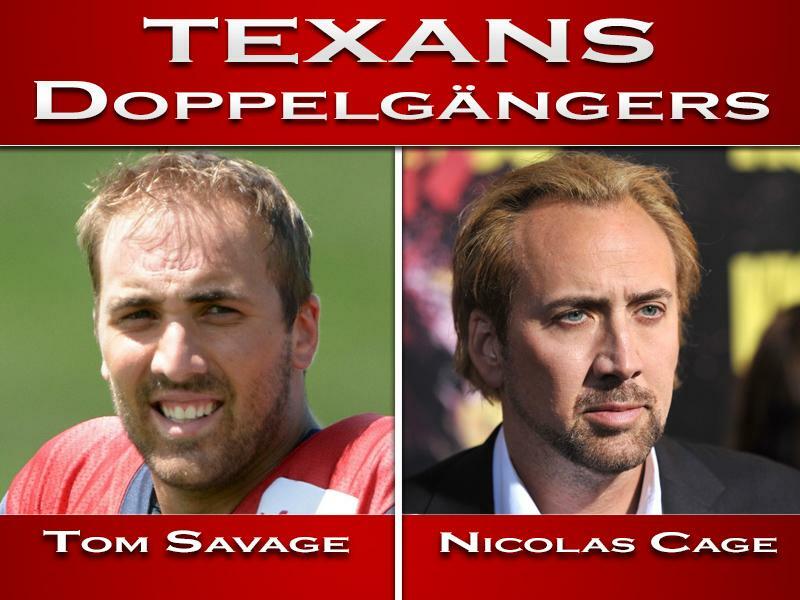 Jacksonville Jaguars (@ Houston Texans) – So far, all QB Tom Savage has proven is that he looks like Nicolas Cage. The new look Jags are going to eat him up. Calais Campbell will likely get to him a few times, and I think AJ Bouye and Jalen Ramsey are up to the task of at least slowing down stud WR DeAndre Hopkins. Injuries to Watch- Everyone on the Jags defense is currently a full go as they made it through the pre-season unscathed, but Dante Fowler‘s legal troubles may keep him off the field. He has really yet to make any sort of impact since the Jags used a first rounder on him in 2015. 11. Atlanta Falcons (@ Chicago Bears) – I think head coach and defensive mastermind Dan Quinn is going to get a lot out of his defense this year. In week 1, I expect the Falcons high-powered offense to be scoring at will against the hapless Bears and forcing Mike Glennon to throw, throw, throw. This will be a recipe for success for CB Desmond Trufant and pass rusher Vic Beasley. Injuries to Watch- Desmond Trufant missed most of last year with a pectoral injury. It will be interesting to see how he bounces back. If he’s back to pre-injury form this defense could take a big leap forward. 12. LA Chargers (@ Denver Broncos) – Denver has a ton of talent but a lot of that is concentrated on the defensive side of the ball. There offense hasn’t been anything special since Peyton Manning rode off into the sunset (ranked 22nd in points last year.) Jason Verrett should be healthy and giving Demaryius Thomas a hard time, and Joey Bosa will be absolutely terrorizing Trevor Siemian. Injuries to Watch – Jason Verrett is likely to play after missing most of last season with a knee injury. If he’s all the way back, he has legitimate shutdown skills and will boost the season-long outlook of this defense. 13. Buffalo Bills (vs. New York Jets) – I don’t think Buffalo will normally be worth any consideration for streaming but week 1 vs. the Jets is a nice dart throw. Once QB Josh McCown‘s crumpled old body is carted off the field after he breaks his whatever, Bryce Petty and Christian Hackenberg will come on to throw pick after pick. Injuries to Watch – The Bills will be at close to full strength for this contest. 14. Philadelphia Eagles (@ Washington Redskins) – The Eagles Acquired CB Ronald Darby late in the off-season, bolstering what was one of fantasy’s better defenses last year. I am a bit wary of using them against what should be a pretty explosive passing game in Washington with QB Kirk Cousins having tons of weapons at his disposal but you could do worse than Philly. Injuries to Watch- Philly’s defense is locked and loaded at present with no noteworthy injuries on the defensive side of the ball. 15. Cincinnati Bengals (vs. Baltimore Ravens) – I expect this to be a messy slog of a game. These teams play each other tough, and i don’t foresee a ton of offensive fireworks out of Baltimore. Cinci should miss the presence of enforcer Vontaze Burfict who is (again) suspended for a dirty hit he committed (again) during the pre-season. Injuries to Watch – In addition to the suspensions of Burfict and CB Adam Jones, S George Iloka will miss the first chunk of the season with a knee sprain. Expect the Bengals to get stronger as the season progresses. 16. Kansas City Chiefs (@ New England Patriots) – The Chiefs have a solid defense and more often than not will be a strongly recommended play. But here’s how long it will take for me to feel comfortable recommending a defense against the Patriots. Injuries to Watch – LB Tamba Hali, a long time stalwart on this defense, was placed on PUP and will miss the first six games. However, his play has declined recently and it remains to be seen how impactful his absence will be. No mention of the Rams hosting the Luckless Colts? Do you not think the Rams DST is worth a shot? Hi Tommy! Thanks for reading! Astute observation – I definitely toyed with the idea of putting the Rams in the desperate section as a top 16 defensive play due to what is going on with the Colts offense. One thing that definitely gave me pause is the ongoing holdout situation RE: Aaron Donald. If he were to play they’d be much more appealing but right now, I think the listed options are better due to his uncertain status. He is a disruptive monster on that D-Line and a big part of what they do! I view the Rams right on the border of playable and fine to plug in if they are your best option but like the ones I highlighted more. Continue to check back each week to see if the Rams make the cut! Given the choice, NE v KC or NYG @ Dallas. And does it matter if EE plays for the Boys? Hi Chucky, thanks for reading! New England or New York Giants is super close, about as much of a 50/50 as you can get! I think both will make you happy but NYG has more talent and with the opposing matchups about even I think I lean towards Big Blue. I think I’d take them even if Zeke plays but that is obviously a very good point – you feel more confident if its McFadden taking the handoffs. Bottom line I’d go Giants but if you had a feeling in your gut to go with the the Pats I couldn’t argue too much. Best of luck – hopefully you blow out your opponent and it doesn’t matter!